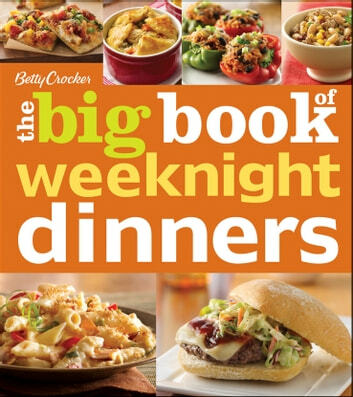 Dinner will never get boring with this compendium of weeknight dinner recipes from Betty Crocker. You'll find soups and stews, skillet meals, main-dish salads, pizzas, sandwiches, casseroles, and much more. With meals that are just as easy to prepare as they are delicious to eat, this book will help you keep the family fed with minimum effort. Whether it's a light summer meal or a hearty winter meal you need, The Big Book of Weeknight Dinners has you covered! When it comes to feeding families, no one has you covered like Betty Crocker. With The Big Book of Weeknight Dinners, you'll have plenty of great dinner ideas to dig into.